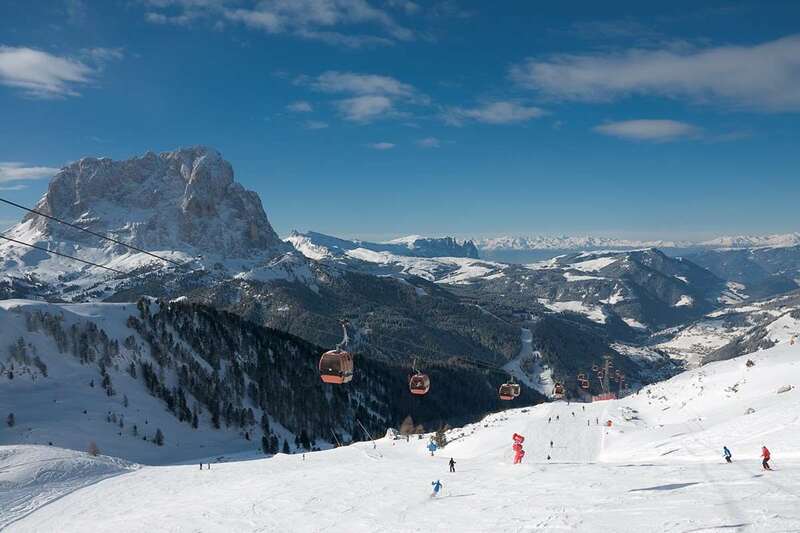 The Hotel Serena offers guests direct and ski in/ski out access to the Dolomite Superski area, with a ski lift right behind the hotel. With excellent relaxation facilities, it is also renowned for its delicious, home-made cuisine. Sauna, Jacuzzi™, Beauty treatments*, Solarium, Massage*, Turkish bath. TV Lounge, Large cosy Lounge, Card room. Standard rooms have a double bed, private facilities, hairdryer, safe, telephone, radio, satellite TV and balcony with mountain view. Some rooms can take a third bed. Superior twin rooms and single rooms(without mountain view) are available at a supplement on request. Dinner is three courses with a choice of meal and a salad buffet. Weekly Val Gardena speciality dinner.